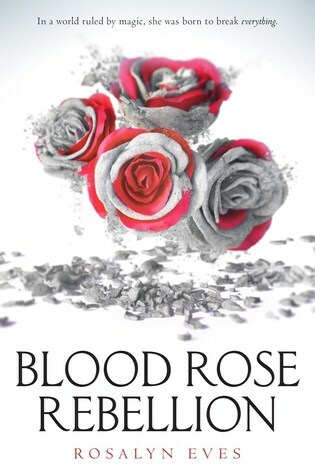 The first thing that drew me to Blood Rose Rebellion by Rosalyn Eves was its stunning cover. If you know me at all, you’ll know that I absolutely cannot resist a gorgeous cover! The summary for the book sounded really interesting as well, so I couldn’t wait to get started on it. I don’t think I’ve read anything like this book before, and I found it to be a very interesting read. It only took one chapter of Blood Rose Rebellion for me to become really interested in the story. I’ve read a lot of stories about magic, so I figured this one would be just another magical story, but it wasn’t. I really appreciated the uniqueness of the story. I also really enjoyed the setting as well, which started in London, and ends in Hungary. The ending came together nicely, and also left me with a few questions, especially after that epilogue. I’m curious to see what’s going to happen next as the series goes along. There were a lot of interesting characters throughout the story. The main character, Anna, was a little frustrating at times, as she was trying to figure out exactly who she is and what she could do. I love her grandmamma and her family in Hungary, including her cousins. There are a lot of characters in this novel to keep up with, and some you’re really going to like, and some… not so much. But they were all well written. Overall; Blood Rose Rebellion was a very interesting beginning to what should prove to be a very unique series. I’m super curious to get my hands on the next book to see what’s going to happen next.